If you love bacon and hot peppers, this is for you. This recipe takes the jumbo jalapenos. You will also need a large baking sheet. 6 jumbo size jalapenos, cut in half and seeded. Leave stem on. In a small bowl, mix the two cheeses together. Divide among the jalapeno halves. 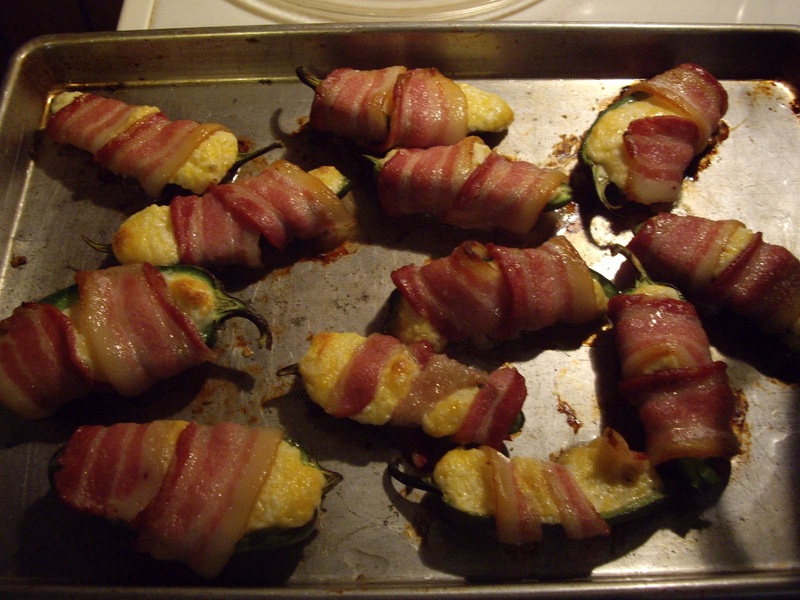 Wrap one slice of bacon around each cheese filled pepper half. Bake on the baking sheet for 10-15 minutes or until the bacon is as browned as you like and the cheese is all melty. Last year’s B recipe was Brown Bread.